This is the mobile view of the ECAMS login page. I utilized the fluid grid system and media queries to ensure the site was responsive. I also utilized GEICO's style guide to ensure branding and standards were maintained. 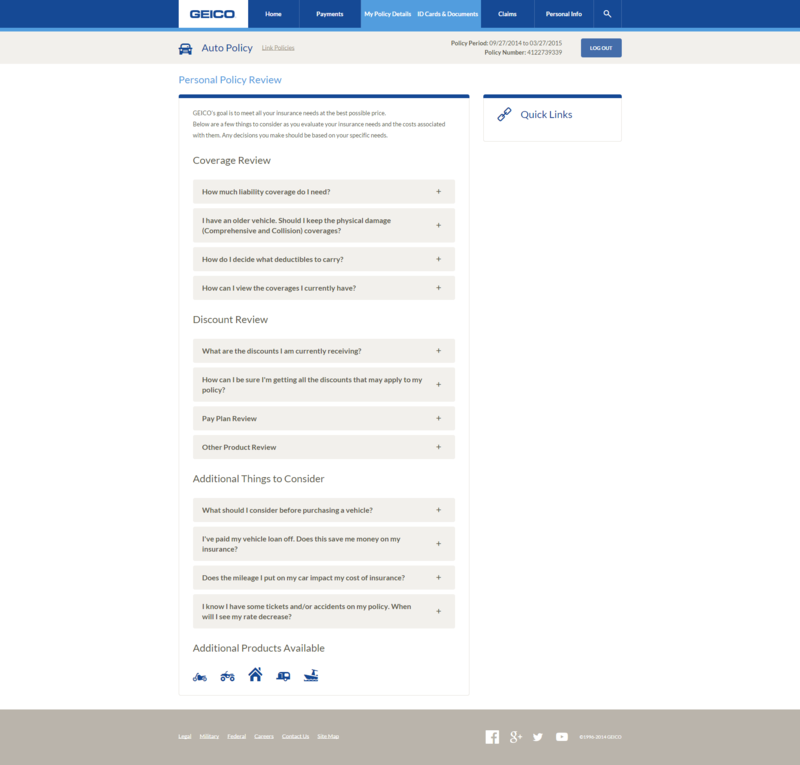 This is a page that I created with fully functional tabs for the Auto Policy section of GEICO. 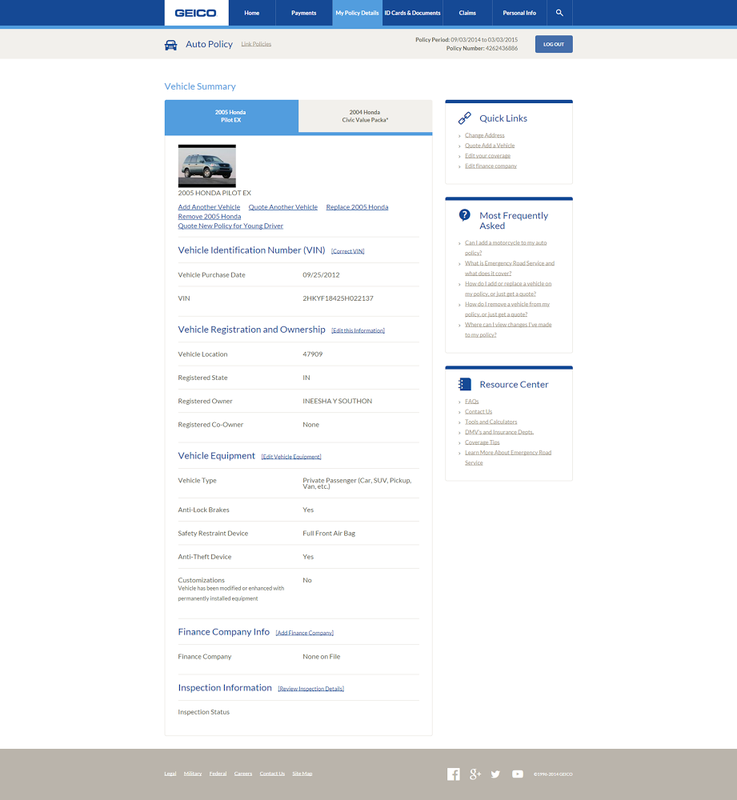 The purpose of the page is to show the vehicle details of the auto loan you have or are applying for. The content on the page changes depending on which tab you click on. Hover states were included to display the active and inactive tabs. The number of tabs and their sizes can also be adjusted depending on how many vehicles you are looking at. 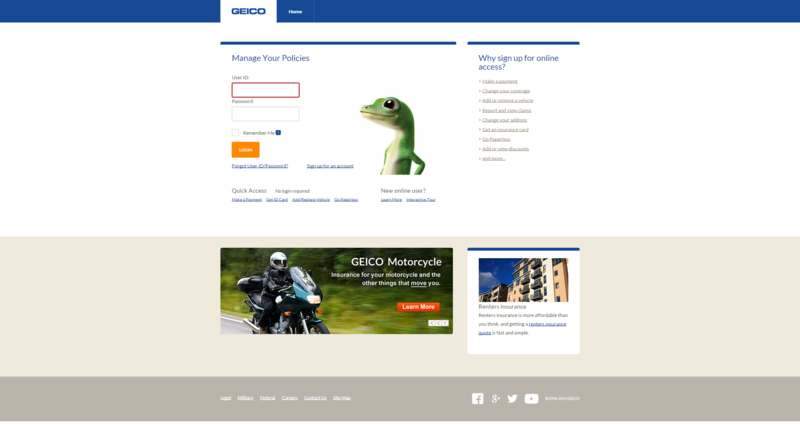 The page utilizes GEICO's style guide and standard headers and footers. This is a page that I created with fully functional accordions to access content for your personal auto policy. The purpose of the page is to show the details of your personal auto policy and can be accessed via clicking on the accordion plus sign and closed via the minus sign. Icons from GEICO's design kit were added at the bottom to account for additional policies user may want to apply for. The page also utilizes GEICO's style guide. I created this site for the Mortgage Department. I created the site using the bootstrap framework. I added the SDFCU logo on the top left and the top nav in the header. I created buttons in CSS with rounded borders and drop shadows and a hover state to modernize the look and feel. I created a right sidebar to add our resources, services, contact information and images. I also created the FAQs and Glossary of Terms pages that are accessible via the Resources section. 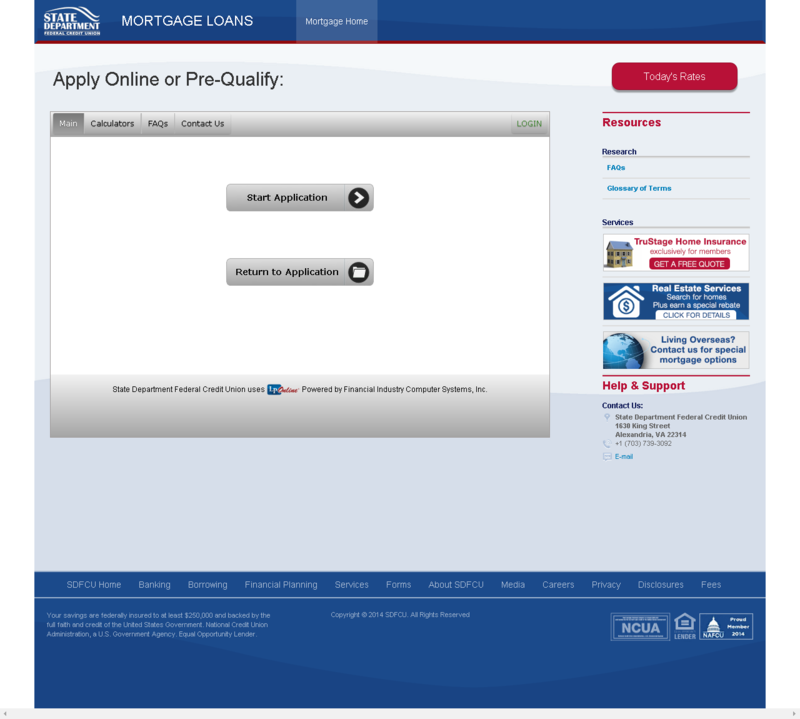 I utilized the SDFCU blue and red throughout the site to standardize the look and feel and utilized the Roboto font. I created a style guide to standardize our sites. The Auto Landing page was created using bootstrap, with one of our vendors. I managed the process, liaising with the vendor on a regular basis. I suggested ways on how to display the content, after meetings with the Marketing team and our vendor. I created the top nav, and helped come up with the image carousel and suggested ways on how to display the content in the left sidebar, using boxes. I also edited the footer and helped layout the content. I edited a lot of the CSS/HTML code, ensuring the site was responsive and accessible across different platforms and browsers. The site has changed since I last worked on it.